Who is eligible to ride at Vinceremos? 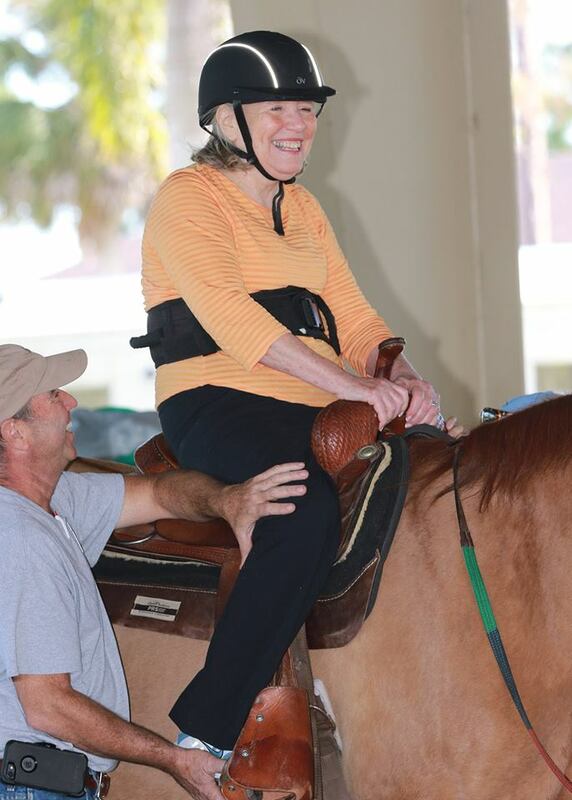 Children and adults with physical, cognitive or emotional disabilities are eligible to ride at Vinceremos Therapeutic Riding Center. Candidates must submit a registration package which must be filled out and signed by a physician. You may access the registration packet here. There are conditions that may be contraindicated for riding. It is our primary objective to ensure all riding participants can be assisted safely. We strictly follow PATH's guidelines in making these determinations. PATH guidelines limit a rider's weight to a maximun of 200 lbs. Other contraindication examples include spinal fusion and Herrington rods. Specifics to the individual applying can be discussed once the application is received. Vinceremos cannot guarantee that a prospective rider will be admitted to the program. How much does it cost to ride at Vinceremos? Vinceremos schedules its sessions on a 10-week basis. The expenditure required to support a rider with disabilities is approximately $1,500. However, every Vinceremos rider is subsidized by the organization with a maximum cost at this time of $500 per 10-week session. Need-based scholarships are available on a limited basis and are only guaranteed for the session in which the student is applying. Please visit our finance page or contact the administrative office for more information. Will VTRC bill my insurance? No, VTRC does not bill insurance or any form of Medicaid for the services it provides. If you have determined that your insurance will cover therapeutic riding or hippotherapy, you are welcome to contact your insurance company to request a reimbursement. How can I volunteer at Vinceremos? The first step to volunteering at VTRC is to fill out the volunteer registration form. Drop off your completed forms along with a check for $25 (the volunteer fee helps us cover the additional liability insurance that we carry on our volunteers). The Vinceremos Volunteer Coordinator will contact you to schedule an orientation meeting and place you on the schedule. Visit our volunteer page for even more information on volunteering at Vinceremos. Do you accept donations of used tack or riding wear? Vinceremos accepts donations of quality used items that are in good shape and free from problems that would cause health or safety issues. If we are unable to use the items in our program, we may sell them as part of a VTRC fundraiser. Please drop off your items during business hours so that we can provide you with a tax receipt. Vinceremos does not accept helmets. Do you accept donations of horses? Each horse that enters the program at Vinceremos undergoes rigorous training before being used in the therapy programs. Ponies and horses must be of an even temperament and physically sound with a willingness to work. Ponies and horses at retirement age will not be considered for the program. Please contact the office at (561)792-9900 if you feel that you have a horse that may be a good addition to our program. Vinceremos will cancel lessons in the event of a major weather event: hurricane, tropical storm or tornado warning. The center knows how important your lessons are to your rider and we always try to meet those needs. If the ride is cancelled, we will continue the session with a barn lesson, which may include grooming, feeding the horses and learning more about our equine partners.